Blog: Norwescon and New Books. Come see me at Norwescon and get your books signed. Special signing appearance by Seanan McGuire! 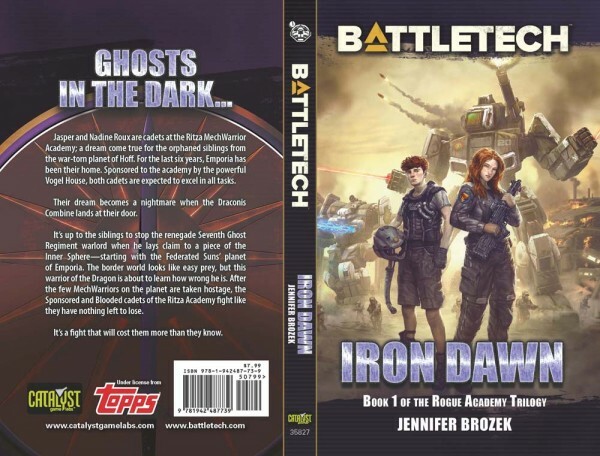 BattleTech: Iron Dawn, Book 1 of the Rogue Academy. Now available for pre-order! LOOKY!! 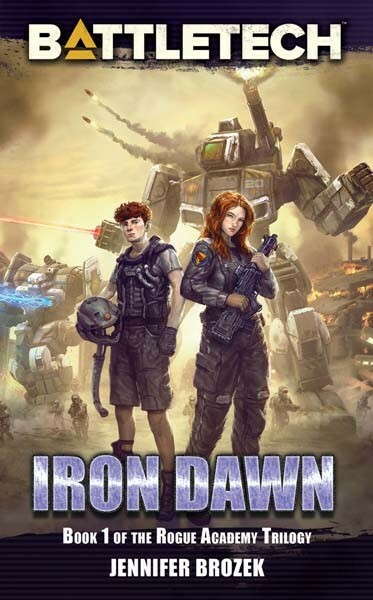 My YA BattleTech novel, IRON DAWN is up for pre-order!! The ongoing fight against the immortal Elder Gods enters the modern age. Magic, mayhem, and murder no longer reign in dusty books discovered in decrepit libraries. Today’s monsters can be called by more than uncanny rituals in candlelit basements. Madness lurks on the internet and lives in the locker room. It breeds in the mall and ambushes its victims outside the club. But those who fight this vast evil have also moved into the modern age. Teenagers from every walk of life use whatever they can to defend our world. Sometimes they win. Sometimes they loves. Sometimes…they give into the temptations of eldritch power. Episode 3 of the @DireMultiverse #podcast is up and running. Things are getting more and more curious. Blog: 10 Year Update of My Will. Yesterday, I adulted like a boss. The Husband and I met with a lawyer to update our Living Trust and the accompanying documents. It’s been 10 years and it was time. Boy, was it time. Blog: SFWA Mentoring Lessons. Sometimes it's only after you've given someone advice that you realize it was exactly what you needed to hear, too. Blog: Declutter Monday for 11 Feb 2019. Wherein I suddenly find myself in Declutter Interruptus as Decluttering the House, Round One comes to an unexpected end. Blog: Is X, Y, or Z a Scam? Let me show you how I figure out the answer to this question. Blog: Declutter Monday for 4 Feb 2019. Snow day thus the Husband helped me with the kitchen and I learned a whole new set of things. I have my once-a-month "Ask Jennifer" up on Curious Fictions for my subscribers. Today's post is all about my cats. Shadowrun Sprawl Stories, Volume 1 in ebook and trade. 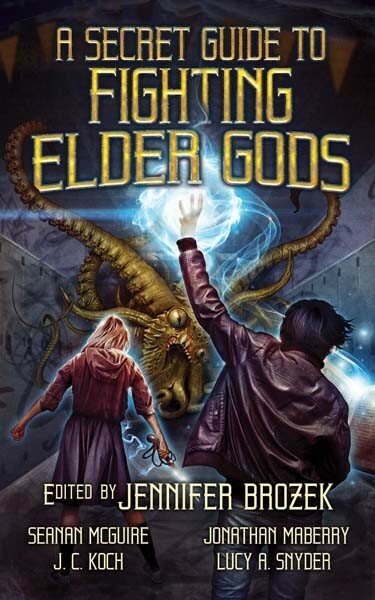 Features four novellas from stellar Shadowrun authors: “Neat” by Russell Zimmerman, “DocWagon 19” by Jennifer Brozek, “Big Dreams” by R. L. King, "Blind Magic” by Dylan Birtolo! Thirty years of Shadowrun! Blog: Declutter Monday for 7 Jan 2019. I had five thoughts about what happened in my brain and heart while I started the New Year of Decluttering and forcing myself to take time away from the computer/work. Blog: The Plan for 2019. Writing/Editing. Expanding my creative horizons. Travel. Personal growth. Blog: What Did I Do in 2018 - Summary and eligibility post. The Jennifer Award for December 2018 is “On the Day You Spend Forever with Your Dog” by Adam R. Shannon. Blog: The November winner of the Jennifer Award is “The Shaman’s Tale” by Ari Marmell. It’s a free story that Ari posted just because. I'm a sucker for origin myth stories and this is a good one. Blog: Music and Memory. I mention a whole lot of friends in this one. Blog: Today, E.D. Walker tells us how her own romantic life inspired her romantic story in the newly released Embrace the Passion: Pets in Space 3 anthology. Today, Elizabeth tells me what inspired her vampire comedy real estate novella, IMMORTAL HOUSE. It involves the history of Seattle and its real estate market. Blog: Bubble & Squeek for 11 Sep 2018. Article, interview, publication, and reviews. Plus bonus clowder picture just because! Blog: Home Improvement Never Ends. Mostly lauding the Husband for his fabulous work. Lots of pictures. Placing a patio is hard work. Blog: Gen Con Awesomeness. The incomplete summation of the "best 4 days in gaming." Blog: A is for Apex! Blog: Life Update including writing, conventions, household stuff, and kitties. The Jennifer Award for June 2018 goes to "Daddy's Girl" by Jennifer R. Donohue. Congrats! Blog: Science Space Summer Camp for Writers and Other Artists. Launch Pad is awesome! Bubble & Squeek: Articles, Interviews, and Reviews! Mostly about TO FIGHT THE BLACK WIND and THE NELLUS ACADEMY INCIDENT. To Fight the Black Wind has been released! The Jennifer Award for March 2018 is the Alastair Stone Chronicles by R.L. King! Bubble & Squeek - Blogs and interviews and my Norwescon schedule! Come see me. Blog. A bit more about TO FIGHT THE BLACK WIND. Shout out to Johanna. The Husband just got me the best Valentine’s Day gift! Bubble & Squeek for today... Articles, awards, reviews, and pre-orders! Blog: The Jennifer Award - Jan 2018. The inaugural winner of this monthly award. Awards Eligibility Post for 2017 Work. I've highlighted what I'm most proud of for your consideration. Blog: 2017 Publishing Recap. What did I accomplish in 2017? Enough for me to still feel good about my chosen career. Blog: The Car Games We Play. The Husband and I take a lot of road trips. This is how we amuse ourselves. Blog: Five Minute Stories Podcast Wrap-Up - Some thoughts and my favorite episodes. Bubble & Squeek: Articles, Releases, and Reviews! Where will I be in November and December? I'm going to be out and about a lot. Come see me!